It is with great sadness we announce the peaceful departing of Annie Irene Mindach (Green) on November 26th, 2018. Widow to her late husband, Bill Mindach. Ann met and married Bill in Ontario where they eventually moved home to Gambo, Newfoundland to open and operate Vonnie Lee Chicken Bar together. Ann loved her kitchen table chats with anyone who would join her. 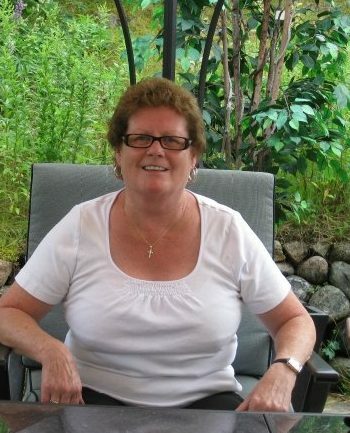 Ann loved to laugh and joke about anything and everything. She was a positive influence to those around her but loved to hear about the shenanigans her children and grandchildren would get into. To call Ann a fighter would be an understatement. Not only did she face her battle with cancer head on but she made sure to live life to the fullest and have a positive outlook on her journey. Ann was a fierce and loyal protector to the ones she loved most. The amount that her friends and family will miss her is immeasurable and infinite. Ann is survived by her daughters Laura Ann (Nathan) and Patricia Ann (Peter); grandchildren Jessica (Myles), Christopher, Michael, Jenna and Aleah; great-grandchildren Isabelle and Madison; sisters Alice, Meta, Sarah and Shonaine; brothers William and Melvin. Ann is predeceased by her husband William Mindach; parents George and Minnie; brother, George; daughter Leah; grandson Kane; and brother-in-law Boyd. In lieu of flowers, donations can be made to the Gander SPCA. Really sad news! Bill and Anne were beautiful people! Rest In Peace! I am so sorry to hear of Anne’s passing. Her and Bill were wonderful people. I enjoyed many a chat with them at the “Chicken bar”. Even since then, a smile and a chat ensued where ever we met. To: The Green & Mindach family So sorry to hear of Annie’s passing. My thoughts and prayers are with you during this difficult time. Fly high with the angels Annie your journey here on earth is done!